Tim Walsh has been forced to leave Gabrielles Wish because of work commitments. New guitarist Steven Bunn has joined and is already rehearsing with the band. 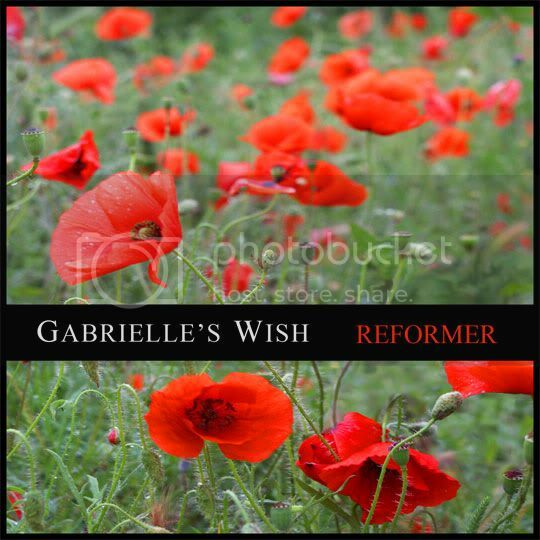 Reformer, the new album by Gabrielles Wish is out now, released on Small Adjustments. It goes from melancholic post punk to emotional acoustics and atmospheric instrumentals through noisy and powerful rock'n'roll. - The Castle Hotel: Address: 66 Oldham Street, Manchester, M4 1LE, England. The long awaited new album by Gabrielles Wish is almost ready! The wonderful artwork is almost finished too and you can preview it here.